All of us have, at some point or the other, come across the word "phobia". Phobia is an extreme, excessive and irrational fear of something. It is a type of anxiety disorder which is defined by persistent fear of any object or situation. 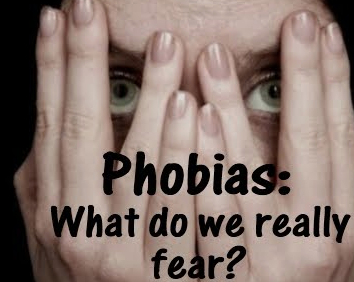 If one has phobia, he/she experiences a deep sense of panic when he/she encounters the source of fear. Such source of fear may be an object, place or situation. Phobia may be genetically inherited or may be caused by environmental factors. Certain events that may have negative, lasting effect may also bring on a phobia. For example, a person who nearly drowned may develop hydrophobia, or exposure to heights, confined places, animals, etc. can also be source of phobias. Agoraphobia - Fear of open spaces and large crowds. Glossophobia - Fear of speaking in front of audiences. Hemophobia - Fear of blood or injury. Although, a person having phobia not necessarily has to have panic attacks for accurate diagnosis. Succinum : It is useful for treating fear of trains and closed rooms. Lyssin: It is specifically used to cure fear of water. Argentum Nitricum : It is prescribed to the one with fear of going in crowd and not able to breathe. Belladonna: It is a cure to fear of imaginary things. Arsenic album: It is a useful homeopathic medicine when one suffers from phobia of being killed with a knife or fear to be alone. Relaxation:-This is the most common therapy which involves relaxing one's muscles in progressive manner and autogenic relaxation, ie, using imagery to help relaxing. However, meditation and yoga has also proved to be of great help. Desensitising fear:-Here, the therapist tries to alter the patient's response to the feared object, place or situation. One may conquer their fear if they are exposed to the source of phobia in a measured and gradual way. Behavioural therapy:-This therapy aims at altering one's beliefs regarding the object, place or situation that triggers fear. It also teaches one to view and cope with the source of fear differently.